New Alien: Covenant Clips Now Online! Alien: Covenant is now out in some countries! It will see its release in the UK tomorrow (with some special showings tonight) and the US release is a week away. The marketing machine is in full swing and we’re seeing plenty of new footage in plenty of different places! Before we go any further, beware spoilers. Danny McBride was on Jimmy Kimmel Live yesterday and as well as talking about his experience on the film, he also brought with him a 30 second clip from towards the end of the film! In addition to the above clip, the official 20th Century Fox pages have released a separate clip staring Demian Bichir and Uli Latukefu which shows a facehugger in action. A lot of preview clips tend to be quite chopped up. Remember the Prometheus has landed clip? I'm amazed how easily the facehugger is pulled off, what's that about?? I read on youtube it's edited down and not the full scene. I'm assuming it was injured by the gun too. Perhaps weakened? Just got back from watching the film. It is edited down, a crew member tries to cut it off which causes it to bleed the acid. The new Danny McBride clip is also heavily edited down to cut out some spoilers and make it a bit faster paced. Thank god, way too many quick cuts. Tired of seeing all repeated Xeno things! Nothing excels the quality of Face hugger and Xenomorph than the original Alien (1979). Nothing at all. 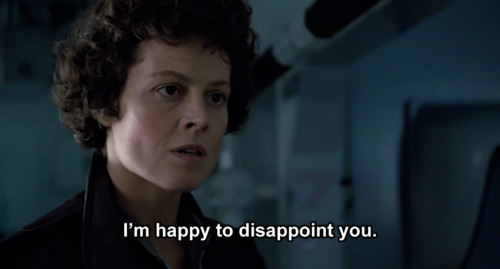 Aliens was a great action adventure. Alien 4 was another level of bizarre macabre. And that's it. By this time Xenos were already enough. Avp did a good cross-over. It was time to get away from Xenos and think something fresh. Prometheus came and got some grand new ideas and subtle new Alien horror. A fresh air indeed it was. Now we are back with the same thing. Same thing we saw tons of times. Thanks to the Prometheus haters! Alrighty then, now I totally understand why Hick and Huda's inner alien stomachs got all twisted up for. All I can say is, wow, that did indeed feel very out of place. The 5 second facehugger that's apparently... ticklish? I mean what the f**k was that. I was wrong about Michael Fassbender on The Tonight Show last night. It's this upcoming Monday. James Franco will be on Conan O'Brien as well. This is looking fantastic im so happy for alien fans after the awful avp films. Cant wait to see it on the big screen. I hope that clip has been edited, because it looks pretty rough in places..
That facehugger moves a lot better then ever, fast and vicious and it even has intelligence to hide ffs!! For some reason as a child i was afraid of the huggers a lot more than the xenomorph. Really looking foward to seeing this in a couple of hours. So there's two huggers out there it seems.... I didn't know that, oops! Luckily I'm not bothered about spoilers, a movie is either good or it isn't anyway, lol. Alien twitter page just put up a new clip. Billy Crudup was on their last night. Didn't watch it though so I'm not sure if they showed a clip or not. I can't decide if they showed a clip or not. Not in the video if they did. Also, Fassbender was on the Tonight Show with Jimmy Fallon. Billy Crudup was on there last night. Didn't watch it though so I'm not sure if they showed a clip or not. Also, Fassbender was on the Tonight Show with Jimmy Fallon.